The assault on our nation’s easily offended nostalgists continues as Variety reports that Sony is planning to sacrifice the animated Ghostbusters on the remake altar as well. Called Ghostbuster: Ecto Force—the easier to tie in with the also recently rebooted Hi-C Ecto Cooler, presumably—the new animated series will be set in the year 2050 and will star “a new generation of Ghostbusters” of as-yet-indeterminate gender. (They could even be mutants or cyborgs or something. Who knows? It’s the future.) Based on the description and setting, though, it’s safe to assume that characters from either the 1984 or 2016 movies won’t appear on the new series, unless they decide to go with a sort of sci-fi Golden Girls theme. 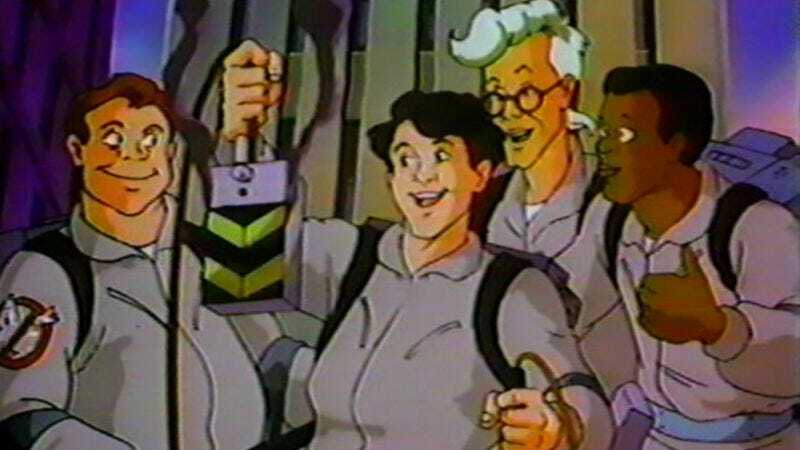 The project is being spearheaded by Ivan Reitman, director of the 1984 original—which is reassuring—and the new Ghostbusters animated series is set to debut sometime in 2018. Until then, fans can take also comfort in knowing that Ghostbuster: Ecto Force will never be able to usurp the authenticity of the ’80s animated series The Real Ghostbusters. After all, it’s right there in the name.